The term digital twin is nothing but a conceptualization of keeping a digital match of a physical object, operation, using the data from smart devices such as sensors. The channel that joins the digital twin and its physical matching part is termed as the digital thread. The digital model is likely to be modified and upgraded on a regular basis with appropriate incorporation of Artificial Intelligence and data. Furthermore, it also provides actual and concurrent virtual reality. Combining the physical object with the computer-generated corresponding item is crucial. As the technology trend of industrial IoT increases, digital twin technology is more significant now than ever before. The digital counterparts are connected with the network technology and their capability to get rid of problems and to provide higher operational performance is making this digital matching part as the essential technology for every organization. By offering the companies with a complete digital replica of products, the digital twin technology allows the industries to notice any physical problems in the equipment well in advance so that they can take appropriate actions to remove the potential issues way before they occur. But, to make a digital replica of the equipment is a daunting task. The best way to make it happen is the creation of digital counterpart for one division in the manufacturing unit, bring it into action and then proceed for developing the digital matching part for other areas of manufacturing units. Moreover, the digital twin is distinct from the CAD (computer-aided design). 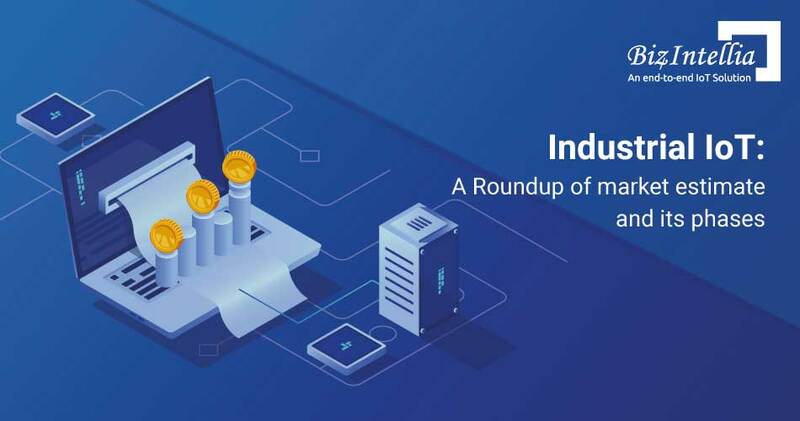 The real potential of the digital counterpart is that it can quickly offer the actual widespread connection between the physical and digital domains in industries. Digital twin technology is changing the face of manufacturing industry and thereby decreases the costs; control assets and decreases the downtime caused by equipment failure. 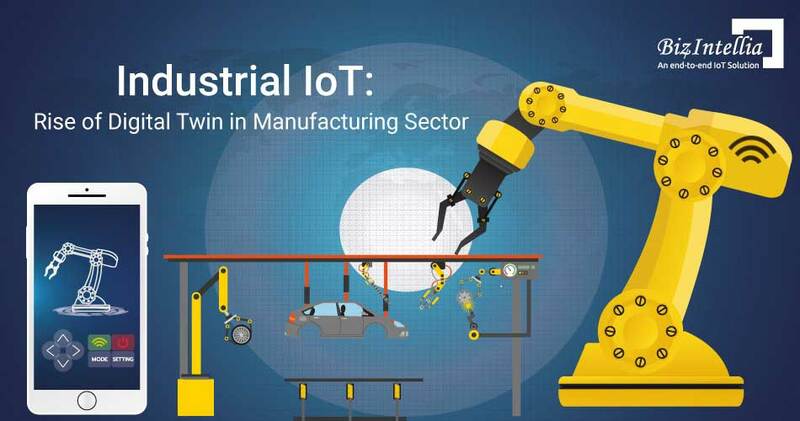 Digital matching part of a physical object in industries plays a vital role in industrial IoT. This technology is also increasing new possibilities for every business worldwide. Digital replica utilizes technologies such as virtual reality by making use of the data & graphics modeling for perfectly creating a virtual model of any equipment. In this present-day technology, sensors accompanied by the physical objects in factory gather data and transmit the data to its computer-generated replica, and their communication eventually improves the physical object’s performance. The cherry on the cake is that the virtual counterpart can be created way before the equipment is constructed physically in manufacturing units. To make the exact virtual part of a particular physical product, it is essential for engineers to gather and blend data from numerous sources such as manufacturing statistics, information about its working, and also from analytics software. Apart from this, there is also a requirement of AI procedures that incorporate into the computer-generated replica of specific equipment. This level of Digital Twin highlights the crucial single component in the entire manufacturing procedure. The only part which is most needed and the manufacturing process is highly dependent on that particular component. Digital Replica in Asset Level develops a digital replica of a specific part of the equipment that is utilized in the production phase. Whenever the manufacturers need to improvise the entire production line the system level digital replica is implemented. 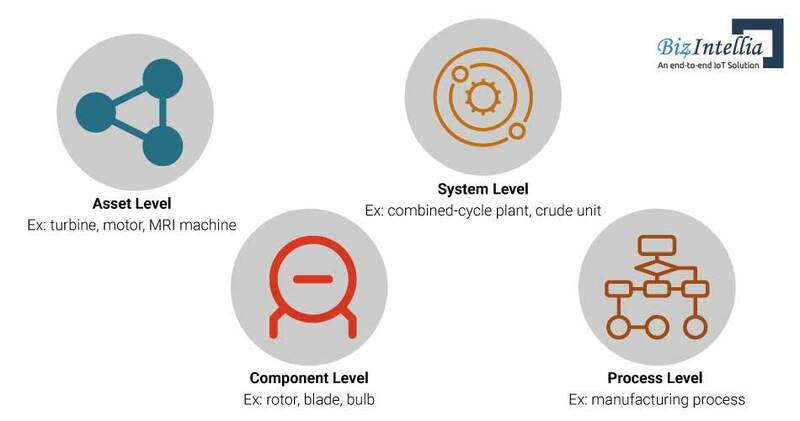 Process level looks at the entire life cycle of a product. Beginning from product/process design and development to manufacturing or production, to distribution, and the way the end user is using the product. Which in result helps in the development of current and future products. Operational Measurements, which pertain to the physical performance of the equipment, such as color uniformity, torque, displacement, and tensile strength. The external data which affects the physical equipment operations, such as barometric pressure, ambient temperature, and moisture level. These measurements can be converted into secured digital messages with the help of encoders. These digital messages are then transferred to a digital replica of the equipment. 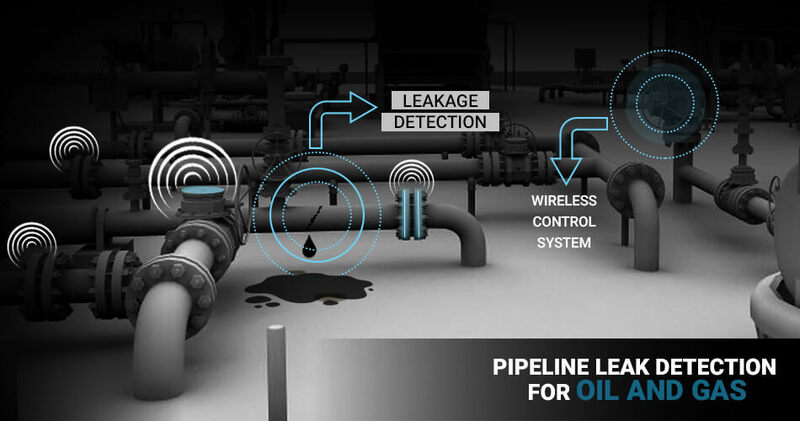 This interface connects sensors with process historians and then processes data from the sensors and pass it along to the platform. This translates proprietary protocols to make the data formats comprehendible and reduce the network communication. Edge processing makes network communication faster by processing the ingested data at the endpoints. 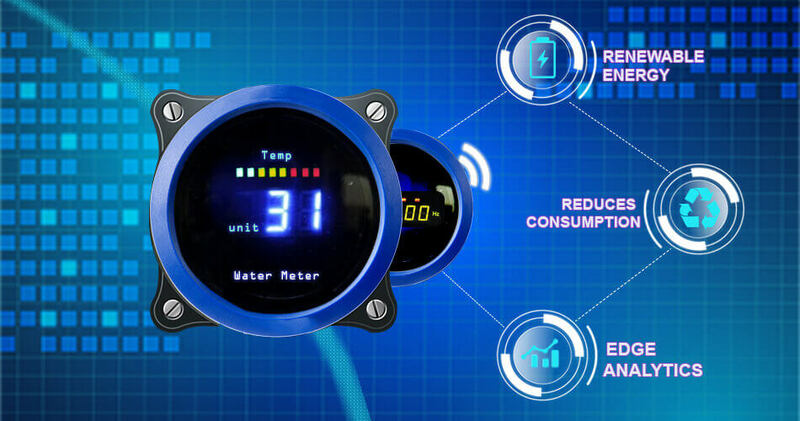 The communication interfaces help to transfer processed data (information) from the sensor function to integration function. Depending on the digital twin configuration, the sensor, which produces the insight, can be placed anywhere: in a mining operation, in a home, in a parking lot, almost at any location. The introduction of new sensors and communications bring new security threats, which are evolving rapidly. The necessity of new solutions to safely enable digital twins will be required as the IP enabled assets grow over time. Using firewalls, encryption, application keys, and device certificates are the most common security approaches. The data aggregation can support data ingestion into a data warehouse/repository, which can be easily processed and prepared for analysis. Data aggregation and processing can be done both on the cloud or on premises. Another phase that comes into action is analyzing the data. In this stage, entire data is thoroughly examined and envisaged. Mostly data analysts and scientists use advanced analytics platforms to generate insights from the data, which realize intelligent decision making. Insights, generated from the analytics, are presented on dashboards with visual representations, which highlights any slight differences in the performance of physical world analog and the digital twin model in one or more dimensions. It indicates the areas which are potentially needed to be investigated. This is where you utilize the actionable insights, generated from the previous step, and fed them back to the physical asset. Insights pass through decoders, which decodes the commands, and are fed into the actuators, which are responsible for the control and movement of equipment. The insights can also be updated in the back-end systems which control supply chains. How to lay the cornerstone with the digital twin technology? The physical equipment you select must be a crucial element of your manufacturing process to sink money into creating virtual counterpart. Product – Process related issues can be resolved which could potentially unlock value for either the enterprise or the customer. Once you narrow down the opportunities, then the opportunity must be further evaluated to recognize factors of the process that can offer advantages of the digital twin. The next step is to recognize the pilot digital twin configuration which is of the highest possible value and has the high success rate. You can consider organizational change management factors and operations to identify the best candidate for the pilot. Companies often pick the wrong approach by going deep into building a digital twin of highly complex equipment or a process and may face challenges. Instead, they should focus on going broad rather than deep: deploy digital twin broadly across the organization which drives the most value and support. To limit the scope, the pilot can be a subset of any business divisions, or products. The limited scope should at least show value to the enterprise. As you move through developing the pilot, the implementors should be adaptable and should have an open mindset. An agnostic ecosystem will allow adaptability and integration with the data and leverage new partners or technologies. While you want to be agnostic to data (Structured and Unstructured) and any data sources (New sensors or External data sources), you would need an end-to-end solution which is scalable enough to support the expansion. Once the pilot is successful, it can be scaled further. Now you would need to identify opportunities where you can scale the Pilot and reap its benefits. You may want to start with targeting adjacent processes or processes which are similar and have interconnections with the Pilot. Learn from the mistakes, made during the Pilot development, and scale it expeditiously. And yes, don’t forget to communicate the value derived by the adoption of the digital twin to your shareholders and larger enterprises. Monitoring and measuring these solutions after their implementation will let you measure the value delivered by the digital twin. You can make changes to the future digital twin process iteratively, and observe outcomes to identify the best possible configuration of the digital twin. In a nutshell, it can be concluded that digital twin technology, a cutting-edge technology trend will play a vital role in industrial IoT application deployments. This new technology will also help in providing enhanced revenues to the industry, decrease in unwanted overheads that arise due to issues in equipment and processes. Digital twin technology trend also helps in diminishing the maintenance expenditures to a lot of extents. Furthermore, it also increases the consistency in the production line in an organization. Eventually, this technology trend also improves the customer service that is the ultimate aim of industries. 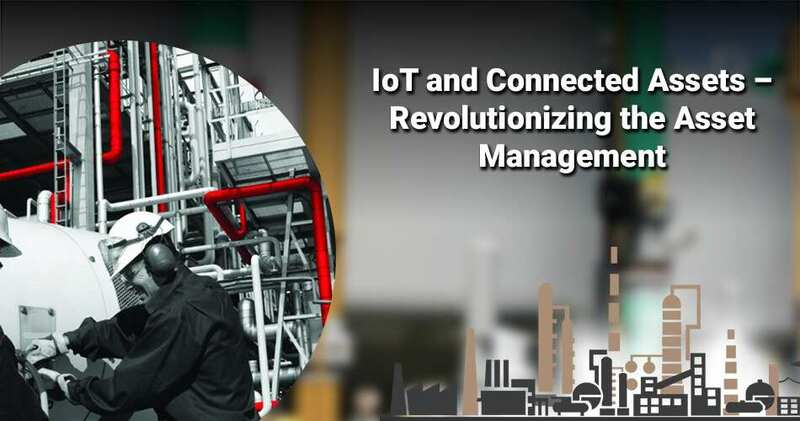 If you are looking forward to get the effective IoT end to end solution for your business, then feel free to contact us, and we will assist you further in selecting the right solution as per your business needs.